UCS | Tom Sydes - Universal Consulting Services Inc.
As UCS’s Vice President for Government Services, Tom Sydes is responsible for capture and delivery of professional services to federal clients. Tom focuses on financial services, strategy development, and business process improvement. Tom champions UCS’s core values: striving for excellence in our services; promoting a culture of teamwork; and, leading the industry with a passion for our customers and our employees. Tom brings a wealth of knowledge and experience supporting the business processes and policy development of government. Tom is an Army Veteran, where he served as a medical Comptroller. Tom’s military experience ranges from running clinical operations for the peninsula of Korea, to being the resource manager for military hospitals, to developing accounting standards for the Defense Health Agency. Tom has served as Senior Financial Policy Advisor to The Surgeon General and Medical Resources Portfolio Manager for the Vice Chief Staff of the Army. 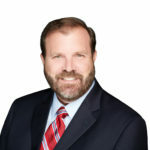 Outside of the military, Tom has led teams that supported the National Institute of Health, Veterans Affairs, State Department, and military medicine. Tom has a Master’s in Business Administration from the University of Washington’s Foster School of Business, and an undergraduate degree in Biochemistry from University of California, Santa Barbara. Tom is a Certified Public Accountant licensed in the state of Virginia.